It’s 2019 and we’re still having the same debate! How can companies use the UN Sustainable Development Goals for sustainability reporting? Football is more than a game. It is inextricably woven into the fabric of society, and we have a duty to consider and address the full scope of its impact. UEFA is organising a football and social responsibility seminar for practitioners within European football associations and football clubs. The seminar is aimed at providing participants with a fundamental understanding of the main contemporary theoretical and practical applications of social responsibility in football organisations. Practitioners can expect to come away from the seminar with a good insight of current good practices and a plan of how to introduce/develop policies and implement/improve initiatives relating to their own football organisations. 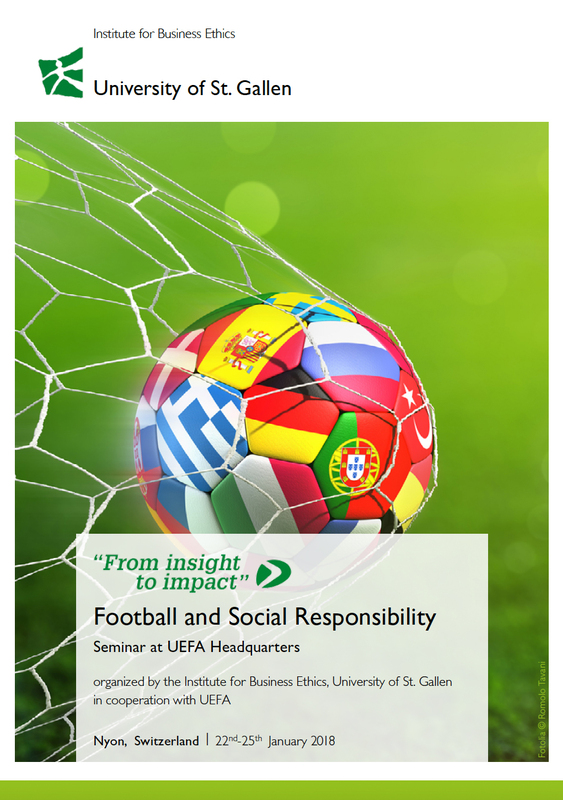 The seminar will look at key concepts, including stakeholder engagement and the materiality matrix, as well as a handful of some of the main issues relating to the theme of social responsibility in football, such as diversity and inclusion, compliance and integrity and environmental stewardship. It is being organised by the University of St. Gallen’s Institute of Business Ethics and will be held at UEFA headquarters in Nyon, Switzerland. Prominent academic and industry experts will be present to deliver insights and experiences. Schwery Consulting has been invited to present and facilitate over various sessions during the four-day course. Click here to read the course booklet and draft programme.